The BMW M8 GTE enjoyed a successful roll-out on 1st July 2017 at BMW Group Plant Dingolfing (GER) – the very place where the production model of the new BMW 8 Series will be manufactured. The close link between production and motor racing is one of the cornerstones of the development of the BMW M8 GTE. The knowledge gained from race outings with the new car in the FIA WEC and the IMSA WeatherTech SportsCar Championship (IWSC) in North America will be directly incorporated in the development of the production model, which is running parallel to the motorsport project. A new degree of efficiency. The V8 engine with BMW TwinPower Turbo Technology, which is restricted by regulations to a capacity of 4.0 litres, has a nominal base output of more than 500 hp, depending on the classification. The cylinder block and cylinder head are taken from the production engine and are produced in the light alloy foundry at the BMW Group plant in Landshut (GER). The focus of the development work is on achieving the greatest possible efficiency and maximum durability. The powerful production engine provides the perfect basis. The power transmission in the BMW M8 GTE takes place via a sequential, six-speed racing gearbox. Artificial intelligence gives engineers greater freedom. “Virtual development” plays a central role in the development of the BMW M8 GTE. For example, the traction control is being developed with the assistance of an artificial intelligence system. Topology optimisation with 3D printing gives the engineers far greater freedom in their search for innovative and creative solutions for the design of the car. Rapid prototyping also allows them to take delivery of a new part, as a usable prototype, just 24 hours after the virtual development. Motor racing and production go hand in hand – design similarities. 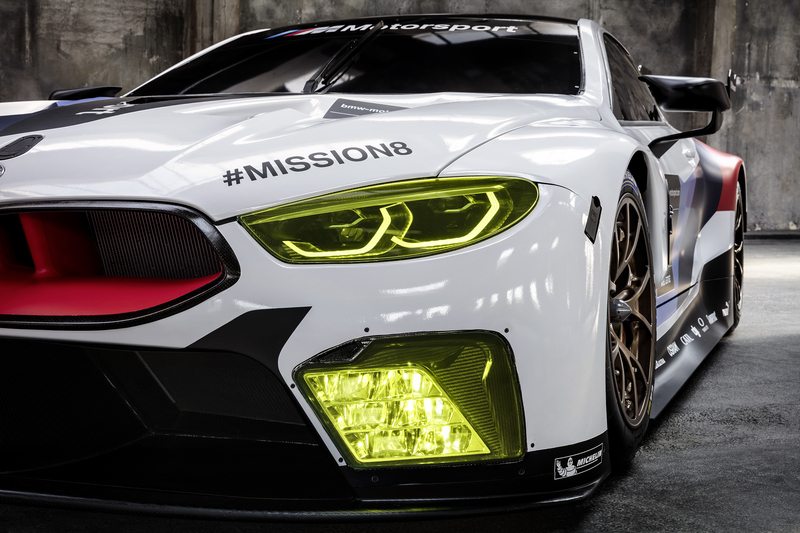 Racing and production engineers closely worked together within the framework of the BMW M8 GTE project. For instance, consistent lightweight design also plays a crucial role in the development of the new GT sports car. A significant weight reduction is achieved through the extensive use of ultra-light CFRP components. At a length of 4,980 mm and a width of 2,046 mm, the car weighs just 1,220 kilograms. 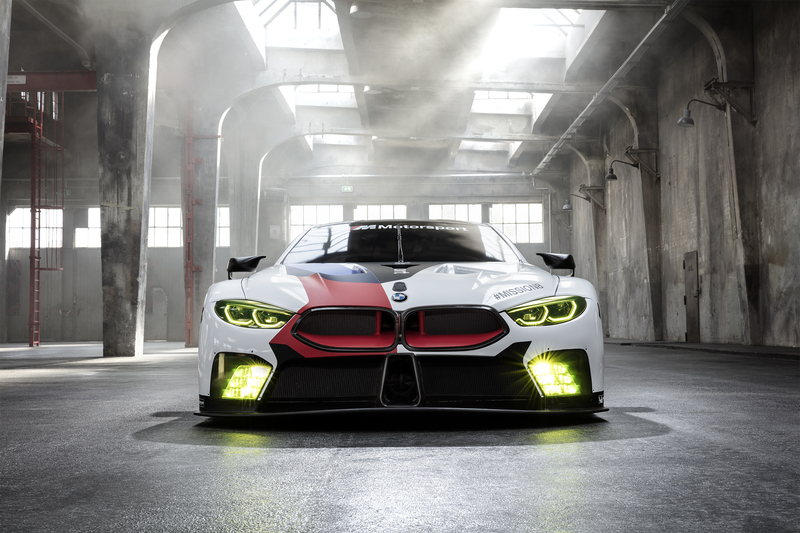 The design of the BMW M8 GTE also reflects the close relationship to the BMW 8 Series and the BMW M8. This is particularly apparent in the same roof line and the design of the front and rear lights. Peak performance in aerodynamics development. Work on the aerodynamics of a new race car is as time-consuming as it is indispensable. As such, it is all the more important for the BMW engineers to be able to work on the chassis of the BMW M8 GTE with maximum efficiency from the outset. A new algorithm allows a significant increase in CFD calculations, thus making it possible to use greater computing power to clearly increase the number of possible simulations, before progressing to the wind tunnel. Here, BMW Motorsport uses synergies with production development and benefits from the perfect test conditions in the BMW Group Aero Lab. One of the results of the aero development is innovative aero rims, which will be presented as a concept at the IAA. Latest 3D measurement technology in use. The close interdependence between production and motorsport development continues in another two important areas: the same 3D measurement technology that was used on the BMW M4 DTM, which made its first race outing in 2017, is also used on the BMW M8 GTE. 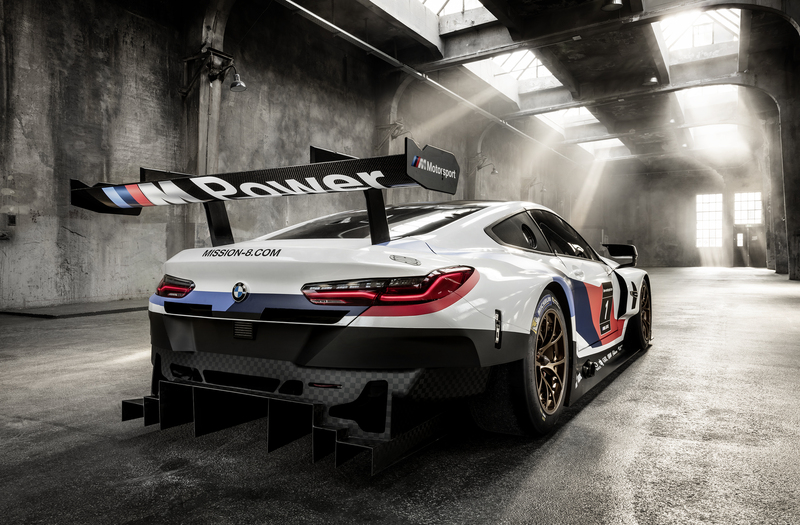 The ultra-modern measurement system from the BMW production development department provides the perfect quality control once the race car has been assembled. With such a complex car as the BMW M8 GTE, which is built completely by hand, it is essential that all the dimensions are correctly adhered to and implemented. Long history of BMW Motorsport in Le Mans. BMW Motorsport returns to Le Mans with the FIA WEC in 2018. The last time a BMW race car featured on the grid was back in 2011, with the BMW M3 GT2. One year prior to that, the Jeff Koons’ (USA) BMW M3 GT2 Art Car had caught the eye, as it wrote the latest chapter in the story of the BMW Art Car Collection at Le Mans. Among the BMW Art Cars that had started previously at Le Mans were Alexander Calder’s (USA, 1975) BMW 3.0 CSL, the BMW 320i designed by Roy Lichtenstein (USA, 1977) and Andy Warhol’s (USA, 1979) BMW M1. BMW Motorsport’s greatest sporting hour in Le Mans came in 1999, when Yannick Dalmas (FRA), Joachim Winkelhock (GER) and Pierluigi Martini (ITA) took overall victory in a BMW V12 LMR. The McLaren F1 GTR, powered by a BMW engine, had previously triumphed at the “Circuit de la Sarthe” in 1995. The first time a BMW car started at the 24 Hours of Le Mans was back in 1939, when a BMW 328 claimed a class victory after 236 laps of racing. After 1972, BMW cars regularly lined up at the endurance classic.